Parker Nicholas will be making a presentation of his newest illuminated sculptures. This will be the first of a series of presentations at SFC. Documentary exploring the meaning and history of cool through the American music of the 1940s and 50s that became known as cool jazz. Those who wrote and played it cultivated an attitude, a style and a language that came to epitomise the meaning of a word that is now so liberally used. The film tells the story of a movement that started in the bars and clubs of New York and Los Angeles and swept across the world, introducing the key players and setting them in the context of the post-war world. 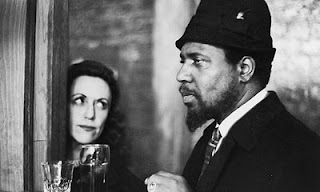 Documentary, made by her great niece, about the British Jewish baroness who fell in love with the jazz genius Thelonious Monk. Pannonica Rothschild was born with everything, got married and had five children, but one track by a man she had never met inspired her to leave and start a new life in America. Helen Mirren is the voice of 'Nica', while Sonny Rollins, TS Monk Jr, the Duchess of Devonshire, Quincy Jones, Lord Rothschild, Roy Haynes, Chico Hamilton and others appear as themselves. The story of a Baroness who fell in love with the musical genius Thelonious Monk.